Pottery Barn is selling these beautiful garden trellises (without lights) for $129. I think they look best when they show them all lit up like this. 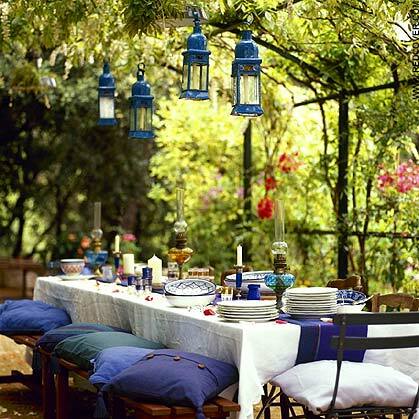 There's just something about a soft garden glow that makes you want to start dining alfresco. But I don't want to spend hundreds of dollars on trellises to get the PB look. So I began thinking about how I could make some of these myself. Then my mind wandered to tomato cages. 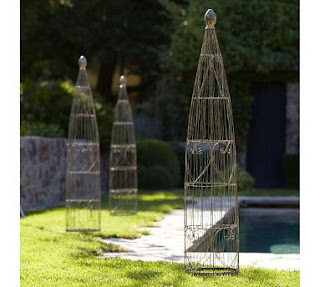 These look-a-like trellises are only a few bucks and have the perfect shape and height. You can get them at your local hardware/garden store or order some online here. 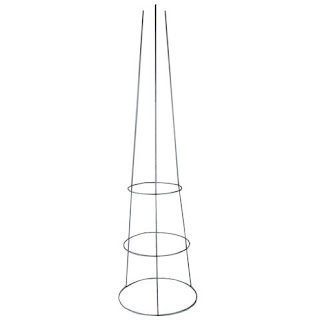 Tie the loose ends, that normally get stuck into the ground, together with some wire and spray paint the whole thing black or bronze depending on your desired look. 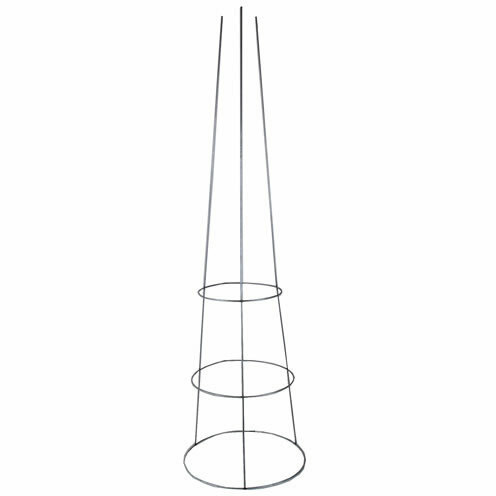 You can also add a decorative finial on top if you want, but I don't think it will matter much at nighttime. 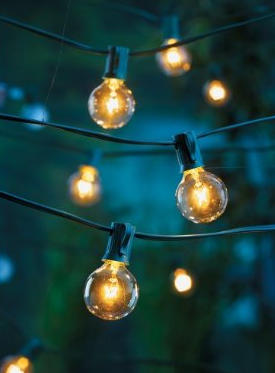 Next, purchase a few strings of cafe lights like these from Target and wrap them around the cage. 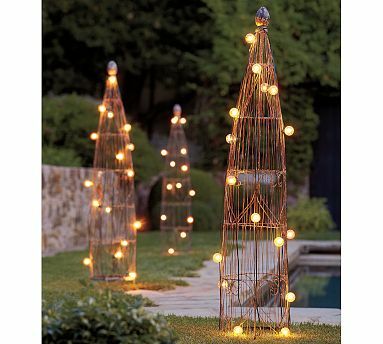 When you're done, you'll have made your own beautiful light trellises for under $20 a piece--much better than the $129 you could have spent at Pottery Barn! Yep, legs up and snuggled next to the couch. And this is the face I got when I snapped pictures during his slumber.